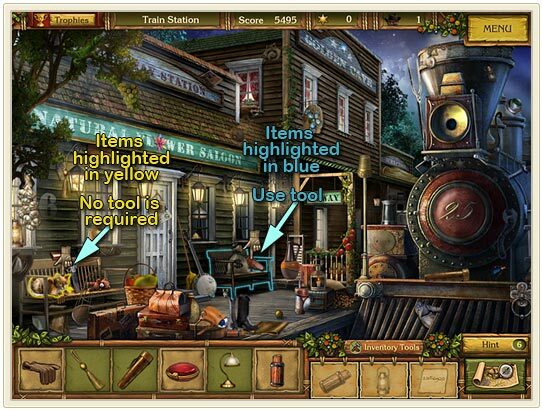 Items to find – Items in the green background are normal items. Items in the brown background can be either inventory tools or evidence; they are hidden behind or inside other items. 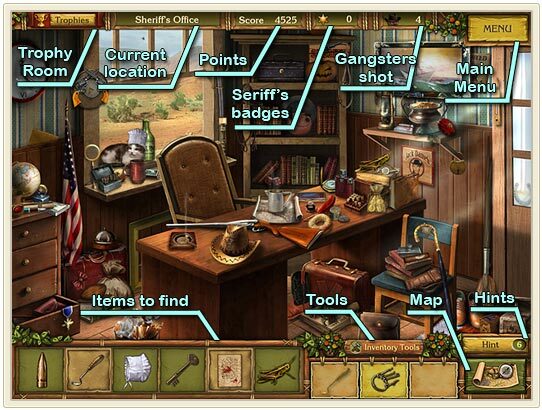 Tools will go to your Inventory and evidence items will appear in mini-games. If the there is an item hidden inside or behind something, this area is highlighted either in yellow or blue. Blue means you need to use a Tool, yellow – no tool is required, just click on it.